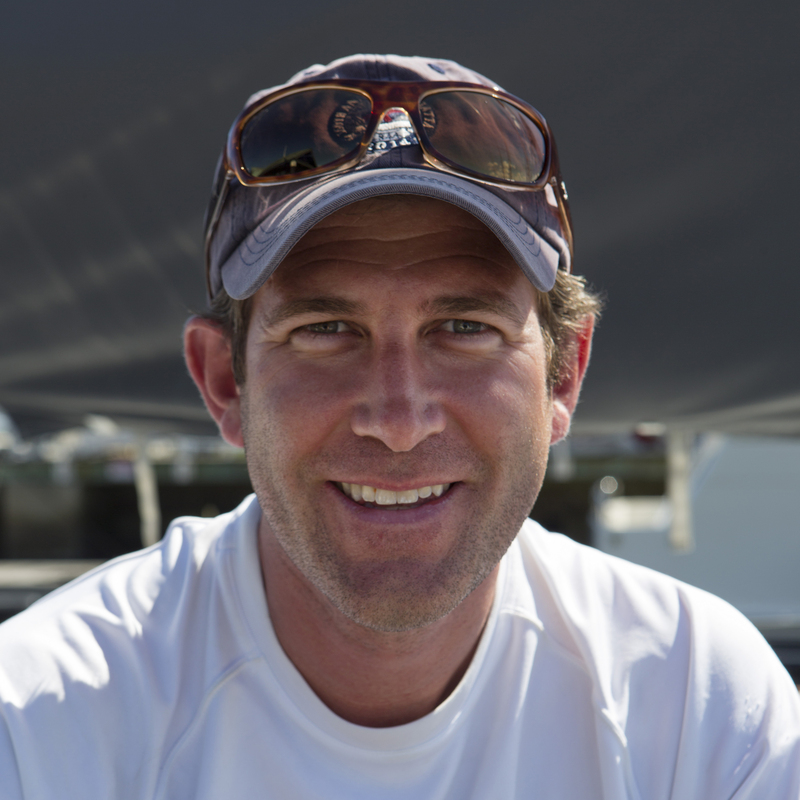 Atlantic Cup veterans Mike Dreese and Tristan Mouligné are once again teaming up onboard Toothface II! Entering the Atlantic Cup for the second time together Mike and Tristan have 6 Atlantic Cups between them. Toothface II is one of three Akilaria RC3s racing within the United States. 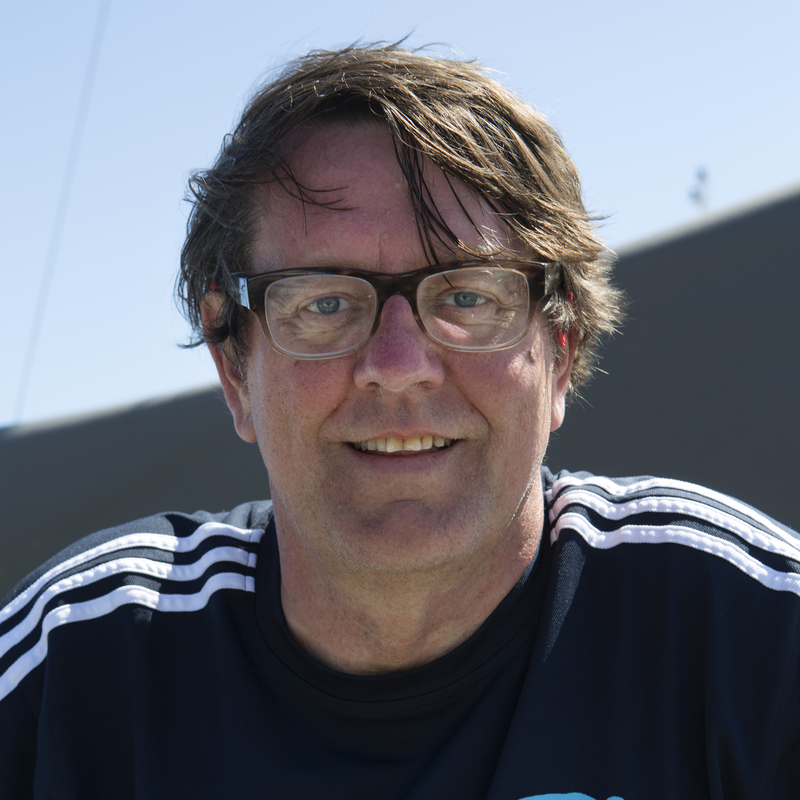 Mike has sailed several thousand miles onboard including a double handed transatlantic in 2015. More recently both Mike and Tristan raced in the Bermuda 1-2 taking the overall combined win. It seems that Tristans ability to make the boat go fast combined with Mikes navigational awareness makes this team highly competitive. Toothface II has been through a season of professional tuning and will be among the fastest boats in the fleet. Family Information: Married. Wife Laura, Daughter Mackenzie , son Christopher. 4th Place Finish in the 2015 Trans-Atlantic. Do you have any hidden talents? Chess (L.A. high school champion) Poker. Career Highlights: In 1999 I won the singlehanded leg of the Bermuda 1-2 at the age of 18, my first solo offshore race. In June of 2015 in the same race I was the first to finish on my Quest 30, Samba, against a few bigger & faster boats. I had a 40 mile lead at one point…before the wind gods swiped it away! Did you go to University? If so, where? M.I.T. Class of 1978. I dropped out in my senior year to start my company. Describe yourself in one word. Dynamic. Family. Married. Wife Laura, Daughter Mackenzie, son Christopher. In what way are you superstitious before a race? I always wear my lucky red Patagonia shirt to start! What is one of your goals for your sailing career? Solo Transat. What are your sailing strengths? Checkbook(!) Navigation. What do you like most about being offshore? What do you like least? Independence and self-reliance. Hate bad storms. What is your favorite sports team? Boston Bruins! What is your favorite type of music? Alternative Rock. What is the most played song on your I-pod? No Ipod, I run a record store chain! If you could meet anyone, living or dead, who would you want to meet? Ghandi. What’s your favorite thing to eat when you’re offshore? Least favorite? Favorite – Good freeze dried. Least – Bad freeze dried. What is your favorite movie line? “I don’t have time to Bleed!” – Jesse Ventura in Predator. What do you do to relax during your free time? Beach, Skiing, Call of Duty. What is your favorite sports team? New England Patriots!!! What is the most played song on your I-pod? Talking Heads “This must be the place” and then a lot of reggae. How old were you when you first went sailing? I was a newborn in a picnic basket on my parents C&C 27, Firefly. Probably could not get away with that today. How did you get into competitive sailing? My dad would drag me racing on our family boat when I was young. Healing over would scare me to tears! Now I love screaming through a dark night at 20kts in the middle of the ocean. Thanks dad! In what way are you superstitious before a race? None. A good night sleep and breakfast before leaving the dock. Number of transatlantic crossings under sail: Zero, but that will change. What is one of your goals for your sailing career? Compete in the Transat Jacques Vabre and Route du Rhum. And win the Atlantic Cup! What are your sailing strengths? Experience of single and double handed sailing. I know how to manage myself and the boat without breaking either one. I think I’m better at making the boat go fast over navigating so Mike and I compliment each other in that regard. The Atlantic Cup has a big sustainability message in that the event organizers try to run the race with as little impact on the planet as possible. What does taking care of the planet mean to you? Obviously we as humans have had a negative impact on the planet but it’s still an incredibly beautiful place. If we can get to a point where our impact is no longer increasing and future generations are able to enjoy this world as we do now, I think that would be a success. If you had to convince someone to do their part in protecting our oceans, what would you say to them? Plastic…if there is just one thing you do please don’t throw plastic in the ocean. Oh, and cigarette butts…it’s amazing to me that smokers just throw cigarette butts wherever they like as if it’s not trash. It’s garbage people! And most of it finds it’s way in to the ocean. The Atlantic Cup also has a robust Kids program, where we teach kids about offshore racing, geography and protecting the planet. We also ask the Kids pick their favorite team. Tell us why Atlantic Cup Kids should vote for your team. This is specific to kids right? We have the best logo, and we represent a company that sells fart machines…what’s cooler than that? ?